Youth Radio - Chef Irie Caribbean Cuisine | What's Cooking Kids? #ChefIrie - Circe, Miani and Reka speak with Hugh A. Sinclair, otherwise known as Chef Irie from the ‘Taste the Islands’ TV show. Chef Irie is a Jamaican-born culinary expert who has a passion for food and a taste for great service and an interesting fact is that Chef Irie earned a B.A. in Architecture before going on to earn a degree in Culinary Arts, so to find out why he went from designing buildings to designing food check out this great podcast! 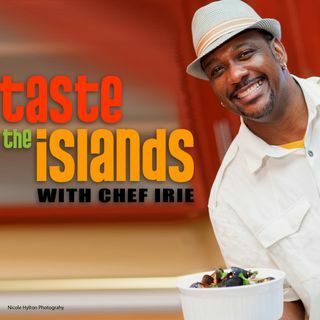 In 2015 Chef Irie became the first Jamaican ... See More lead character on a national US public television series, adding much welcomed diversity to the culinary line up. He has worked for prestigious restaurants and celebrity clients, and now offers catering and private chef services to local, national and international clients, while still finding time to give back often to his community.